It is such a busy time of the year with parties, travel, and get togethers. So I was looking for a quick but substantial appetizer or even lunch on the go. Creamy Boursin cheese is so versatile. 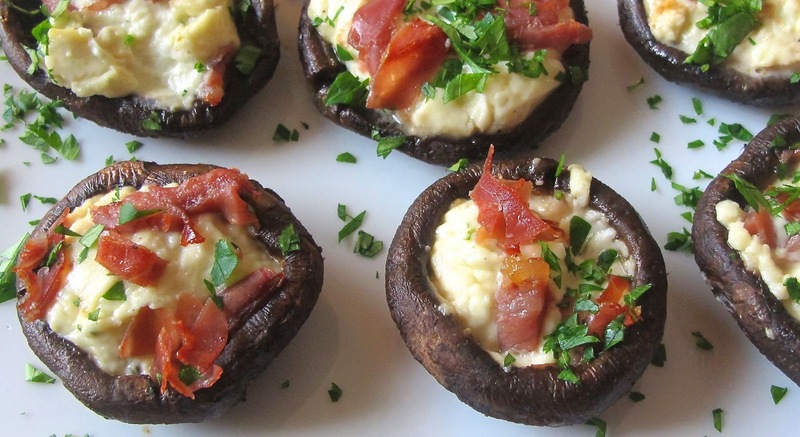 Already this week, I have used it to finish off a risotto, put a dot of it on endive and topped with salmon lox and now stuffed into mushrooms and topped with prosciutto. This is really not a recipe so use the amounts you have of these items. In a bowl toss mushrooms with olive oil and seasoning. Line a baking sheet with foil and place mushrooms stem side down and bake about 20 minutes. They will shrink a little. Using tongs, flip the mushrooms over and stuff with cheese. Top with the prosciutto and return to oven to bake until prosciutto is crisp, about 10 minutes. Place on serving platter and sprinkle with parsley. 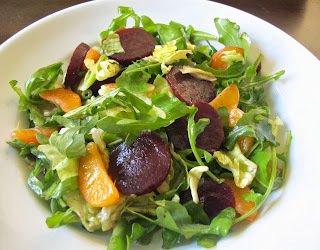 The combination of peppery arugula, sweet mandarins, and roasted beets are a nice change from the heavy meals this time of year. In a large salad bowl, combine sliced beets, oranges, arugula, baby lettuce, and green onions. Whisk the olive oil and vinegar together, in a small bowl and toss with the salad ingredients. 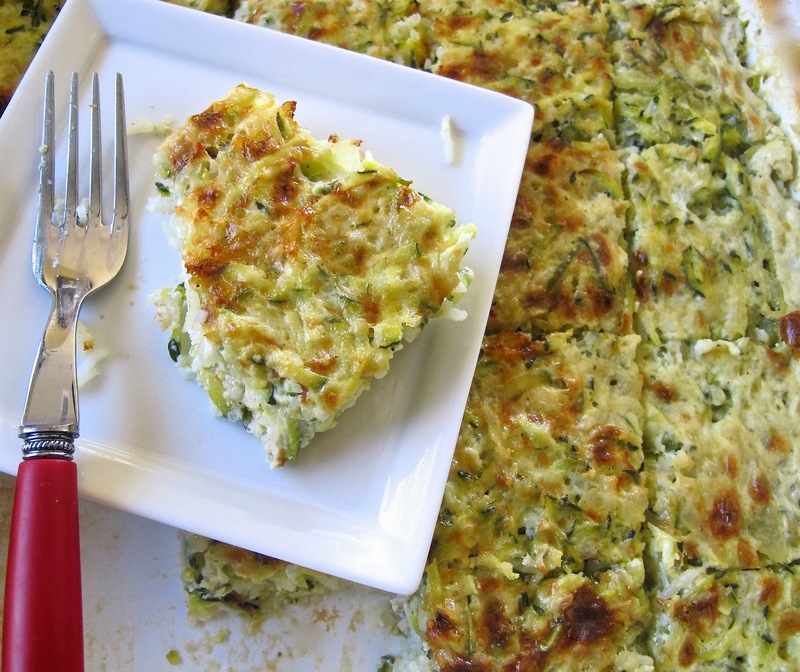 We have used this casserole as a side dish for many Thanksgiving and Christmas dinners. It can be made a day ahead and holds well in the refrigerator. In a large skillet, add butter, oil and onion and saute over medium high heat until onion is soft. Add garlic and shredded zucchini, cook about 5 minutes, stirring constantly. Sprinkle in the flour and stir until cooked. Stir in the half and half, rice, 1 cup of the Parmesan cheese and season with salt and pepper, to taste. Pour into lightly greased 9x13 inch glass baking dish. Sprinkle the remaining 1/4 cup of Parmesan cheese over top. Remove from oven and rest 10-15 minutes. Slice into squares. I knew it was the holiday season when my Mom would make these little treats. The glazed cherries are found in the stores this time of year, I think they are the ones used for fruitcake but this is much better than fruitcake! 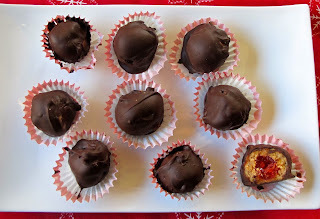 My girlfriend tried making them with soft, caramel centers and I actually preferred those, but the company that made the caramels stopped making them, and the caramels I made were not as soft. 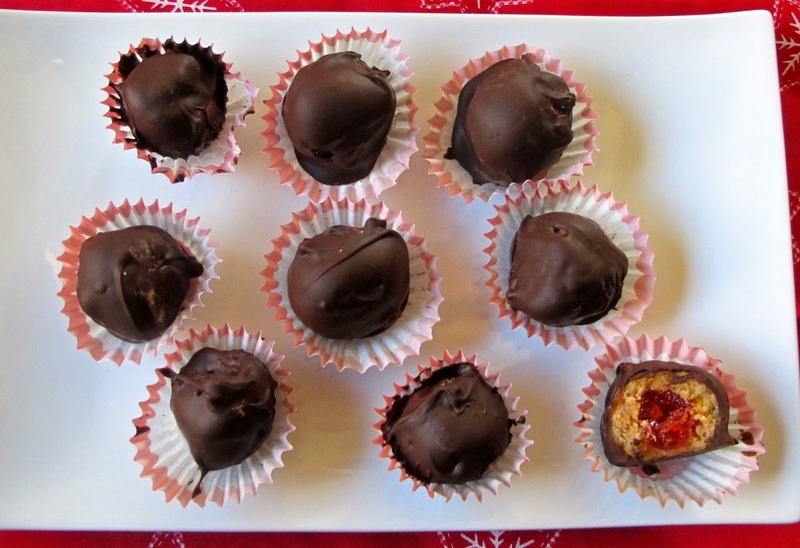 If I had to be away from home at Christmas, I would make these for the flight crew, to share a traditional holiday memory. Combine peanut butter, butter, walnuts, dates, and sugar in a food processor. Roll out into a little smaller than golf ball size dough, and place a cherry in the center. Roll until smooth. Melt chocolate and roll dough to cover. Let sit on wax paper. 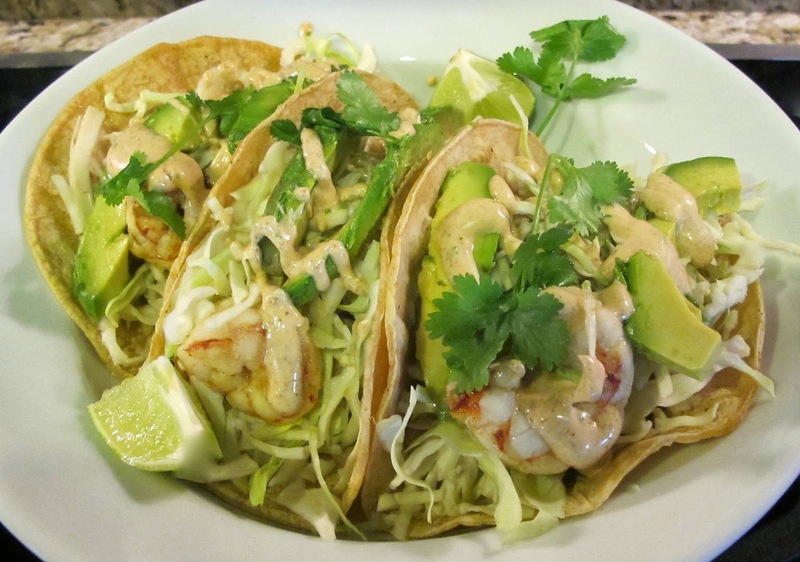 Shrimp tacos are pretty far from the Thanksgiving table, but a nice change of pace. This is made with ground Chipotle chile, as opposed to the canned Jalapenos in adobo sauce. But either could be used. In a bowl combine oil, lime juice, zest, cumin, chili, garlic, shallot and Jalapeno and mix well. Add shrimp and stir to coat. Let marinate 30 minutes to 4 hours. In a small bowl, combine sour cream, cumin, chipotle chili, lime juice, cilantro, honey, and salt and pepper. Whisk in half and half, if needed to thin mixture. Cover and chill until needed. Place in a squeeze bottle. On a grill pan or large non stick saute pan, cook shrimp over medium-high heat, about 1-2 minutes on each side. Remove shrimp from pan and set aside. Lightly grill corn tortillas. Take each tortilla and top with a spoonful of shrimp, some shredded cabbage, avocado slices and drizzle crema over top. Serve alongside limes and more cilantro. Note: To adjust heat use more or less chipotle chili in crema. Also, some pico de gallo would be another great addition over top of taco.